Steam broccoli and cauliflower for about 10 minutes until tender. For the sauce, melt the butter on a low heat, add in the flour and stir to make a pasta. Slowly add in the milk stirring until the sauce has thickened. Add in the cheese and keep stirring until all of the cheese has melted. 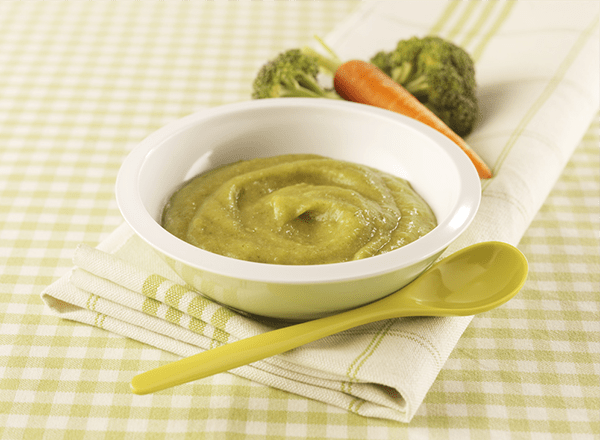 Add in the broccoli and cauliflower and puree in a blender for younger babies or mash with a fork for older ones. Steam or boil the potato and carrots until soft. Mix in the Cauliflower & Broccoli Cheese sauce and heat through.